Here comes #MovingOut, a Marathi fictional web series. Gear up to experience the new normal. Satya and Reva are the kind of couple who give each other space. But what happens when this space makes them grow apart? 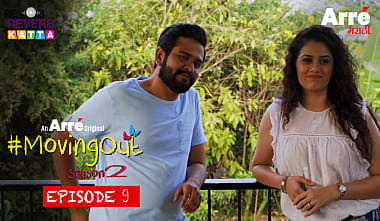 Watch Episode 2 of #MovingOut Season 2 - An Arré Marathi Original Web Series with Reverb Katta streaming NOW. There's trouble in paradise, so Reva decides to work from home. Will the arguments between Satya and her finally stop? Or is this the beginning of the end? Watch Episode 3 of #MovingOut Season 2 - An Arré Marathi Original Web Series with Reverb Katta streaming NOW.